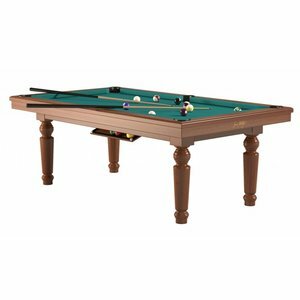 Buying a combination billiard, where you can play carom bill and pool billiard? We sell a unique system. Build the billiards in 5 minutes from a pool billiard to carom billiard or vice versa. With the special wedge shaped band, this is great and you really have a full billiard. 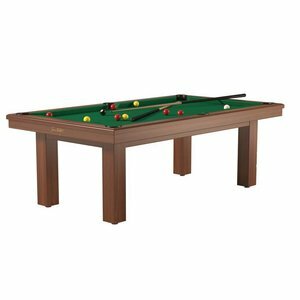 This combination of billiard system is exactly what you are looking for if the children like pool billiards and you want to play billiards. This is because you do not lose quality because you replace the entire tire and do not have to fill the corners with inserts. But what is certainly thought about is the design. Is a billiard not always as beautiful as looks. In this system is mainly thought of the appearance. You buy a combination billiard, but also possibly a beautiful dining table. If these billiards are delivered in solid oak or solid beech. In every color. In a lot of models. And various dimensions. 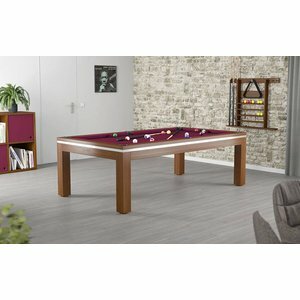 There is always a combination of billiards that fits in your room. And really where we place this combination of billiards currently mainly these just in the living room. Nice and cozy playing a game of billiards. And then good food at the same dining table. Feel free to come into our store. And let yourself be informed, watch, feel and play on this unique combination billiard. And if this is not enough of course we can also supply matching chairs and sofas for the combination billiard. And it is also possible to provide a table tennis table here. Van den Broek Billiards is ready for you. 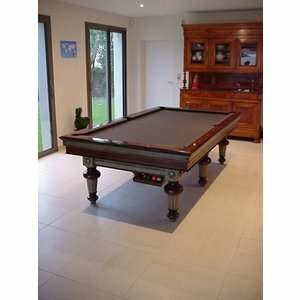 In our webshop you will find the broad billiard offer of the specialist in the billiard area in the Netherlands. 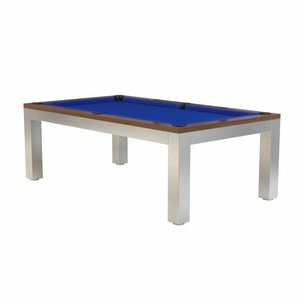 With us you can find different types of billiard tables, billiard balls and a large number of billiard equipment. 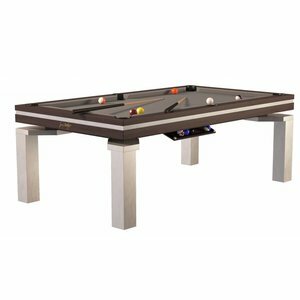 So if you want to buy a billiard billiard, you will find everything you need in our internet shop. 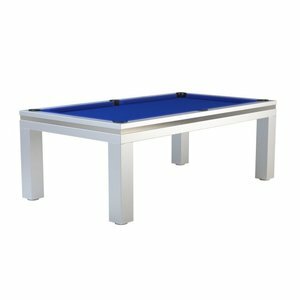 Are you looking for a new combination of billiards? 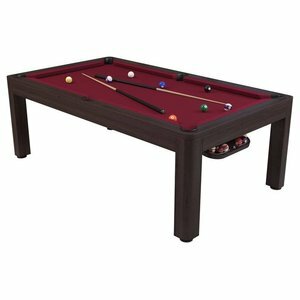 Or do you want to buy a used billiard table? To purchase the product of your choice, click on the right product in the overview below. You will then automatically reach our specific offer. Here you can easily buy your selected billiards. Montfort billiards. 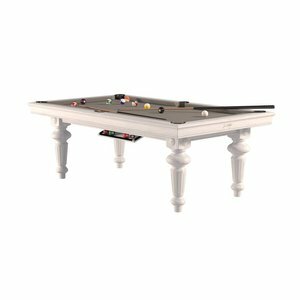 Unique billiards for both Pool and carom and as a combination system. 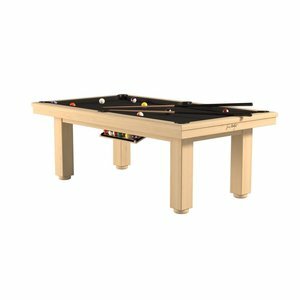 You can build this billiards table in less than 5 minutes as a carom bill or pool billiard.This model can also be expanded as a dining table. Billiard itself can be put together in color model and size.